Jennifer is the Director of Career Development & Study Abroad at Colby-Sawyer College in New London, NH. 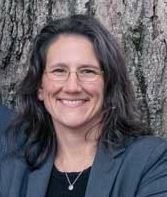 Prior to her work at Colby-Sawyer College, Jen was the Executive Director for the Lake Sunapee Region Chamber of Commerce. She also has admissions, continuing education admissions and satellite campus operations experience at Johnson & Wales University in RI and Newbury College in MA. Jen obtained her Global Career Development Credentials in 2017 and has a master’s degree in Business Administration from Framingham State University.